OUR GENDER GUARANTEE: We are totally confident in our ability to determine your baby’s gender starting at 14 weeks. If the baby is not in a favorable or cooperative position, we will bring you back free of charge for a 2nd look. (Re-scan must be performed within 2 weeks of original appointment). Danae is a registered Sonographer with over 16 years of experience, specializing in high-risk OB ultrasound as well as 3D/4D elective ultrasounds. She completed her ultrasound training at UCSD School of Medicine in 2001. Danae has been living in Reno with her family since 2003, performing diagnostic medical and 3D/4D ultrasounds for local offices. At 3D Keepsake Imaging, we recognize what a very special time this is in your lives. We are excited and proud to be able to provide you with an experience that will have you laugh, cry and be amazed. Using our “state of the art” 4D technology in a relaxed, friendly environment, we welcome you and your family to enjoy these first bonding moments with your baby. 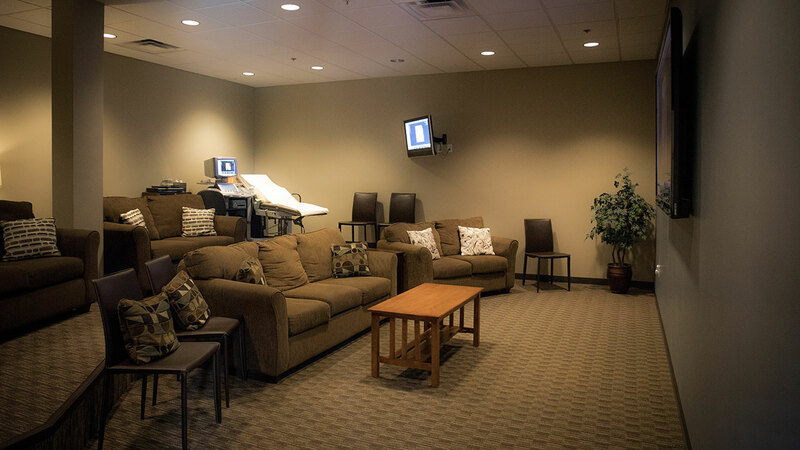 Our “living room” type viewing room will ensure your utmost comfort and our 80″ television will provide everyone the best seat in the house. We love our community! Shop at any one of the many boutique shops that surround 3D Keepsake Imaging. Whether you are looking for chocolate, jewelry or clothing, you can find the perfect gift! Take a look at some of our past 3D ultrasounds, all of which were obtained from our office. We know that this experience is probably new for you, so we’ve compiled our faqs. We offer a variety of pricing packages, so you can have the best experience possible.